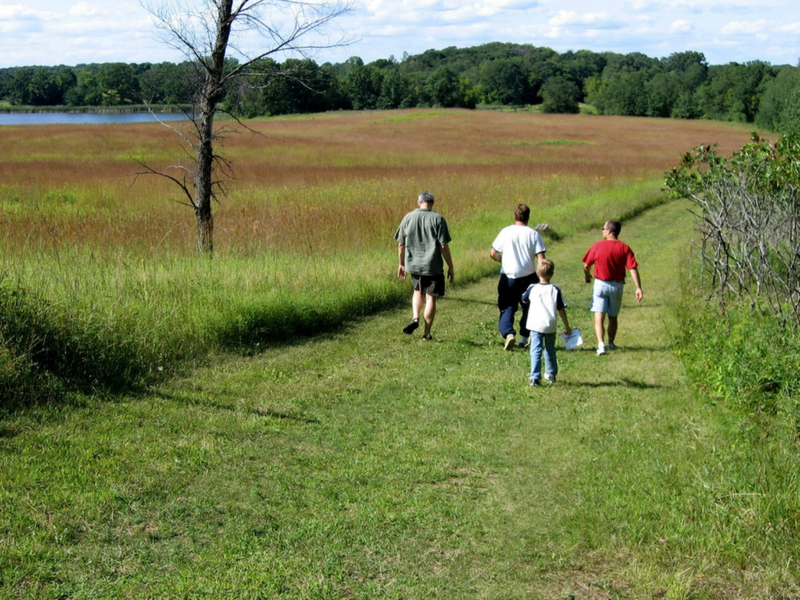 With 22 miles of hiking trails and 2,000-acres of protected meadow and wetland, Lake Elmo Park Reserve is a great place to hike with the whole family. Vehicle Permit. $5 for a daily permit. $25 for an annual permit. Part of the Washington County Park System and only 30 minutes drive from downtown Minneapolis, Lake Elmo Park Reserve offers hikers a variety of ecosystems and hiking trails to explore. Lake Elmo also features amenities such as campgrounds and a man-made swimming pool. Manned with friendly lifeguards, it’s a nice place to cool-off after a long hike with the family. With quiet meadows, marshy wetlands, and a surprising amount of evergreens, Lake Elmo Park Reserve provides its visitors with a nature-filled escape from the city. With almost 22 miles of hiking trails, most of the parks most scenic trails are in the southern section of the park, which border Eagle Point Lake, Brown Lake, and Margaret Lake. There are also paved trails that parallel Lake Elmo’s western shoreline for half a mile and then continue into the northeastern corner of the park. For a taste of Lake Elmo Park Reserve’s best views, take the 3.8-mile loop around Eagle Point Lake. This can be easily accessed by the southern parking lot. From there, head west until you reach a trail intersection. As you get closer to the lakeshore, wetlands overgrown with cattails and redwing blackbirds guide you along the trail. At the intersection, take a left and leave the cattails behind you and begin a short ascent to an upland stand of oaks and maples. Different from other parks found in Washington Country, Lake Elmo hosts a variety of evergreens. Clusters of white pine, spruce, and cedar trees grow all throughout the area, some border the meadows found along the Eagle Point Lake Loop. Since this land was once farmland, lines of spruce and pine were planted as windbreaks. Now the evergreens have grown taller and the land that was once pastures are rolling prairie and meadow. As you walk along the lakes southern shores, a mixed meadow and oak savannah is to your left and views of Eagle Point Lake are to your right. During the spring and early summer, the meadow is full of wildflower blossoms and bird mating displays. Since there are few trees to buffer sounds of civilization, this is the only portion of the hike where you can hear the distant hum of highway traffic. In this area, Lake Elmo Park Reserve offers many wildlife-viewing opportunities. The landscape transitions to open grasslands dotted with clusters of birch and cottonwood. If you are patient, you may catch glimpses of white-tailed deer bounding into the forest and vulture, hawks, and eagles are often seen circling above. As the trail loops around the northern lakeshore, there is a short uphill climb. Over your huffing and puffing, you may hear the sounds of crickets and frogs hiding in the thick marsh grasses below. Also, keep an eye out for remnants of farmland, such as an old windmill and house foundation. If at anytime you wanted to extend your hike, there are trail exits all along the trail, which can lead you to the rolling prairie fields in the northwest and more lakeshore views to the northeast. The southeast also features a lowland floodplain, hosting a variety of hardwoods and colorful wildflowers. Lake Elmo Park Reserve is a great destination for families looking for something fun to do over the weekend. 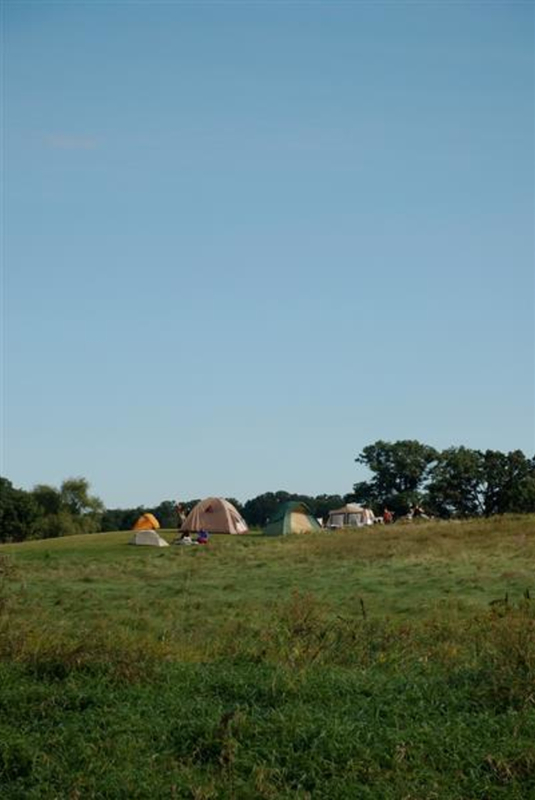 Not to mention, hikers will be overjoyed by the park’s myriad of hiking trails. Lake Elmo Park Reserve is open from 7 a.m. to a half an hour after sunset. During the fall, before day light savings, the trails are lit until 9 p.m. Available parking can be found near the visitor center, campground, and the southern Red Trail trailhead. Hikers generally park at the southern parking lot, since most of the trailheads are there. Before parking, make sure to pay for your $5 daily parking permit at the visitor center.